We’ll collect and deliver it anywhere in Ireland, England, Scotland, Wales and Europe. We’ll collect and deliver anywhere in Ireland, Britain and Europe. Prefer to talk? Call us now. We’re here to help 9am to 6pm, Monday to Saturday. We specialise in the transportation of vehicles throughout Ireland, England, Scotland, Wales and Europe. Need to move a single vehicle? We move single vehicles for private and commercial customers every week. We pride ourselves on our reliability and quality of service. Need to move multiple vehicles? Our capacity for moving multi-car loads throughout Ireland and the UK makes us the perfect resource for anyone looking to move many vehicles at one time. Over 30 years moving vehicles safely and on time. 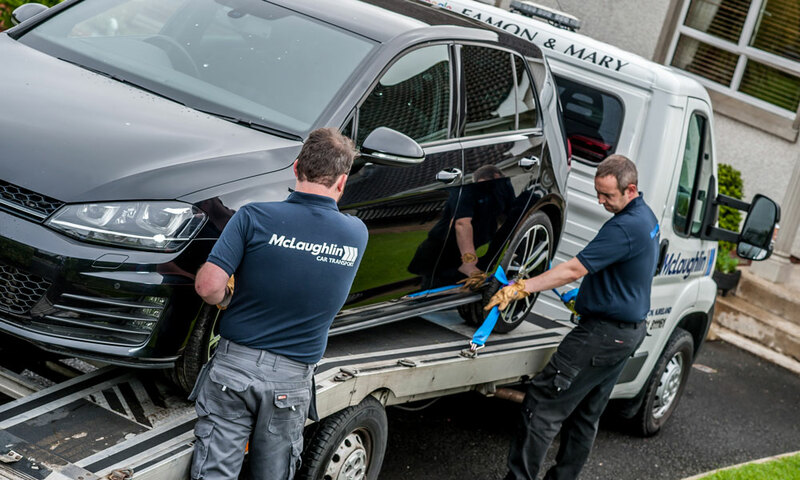 McLaughlin Car Transport have been transporting private cars, vans and small commercial vehicles cross channel and throughout Ireland, Britain and Europe for over 30 years. Motor Manufacturers, Fleet Companies, Auction Groups, Dealers, Private owners and collectors. Whether you have one car or five, a classic, a camper van or a non-runner, we can help. We serve individual car owners, dealerships, fleet and lease companies and commercial customers nationwide. We transport cars, vans and other commercial vehicles cross channel, UK, Ireland, Europe and Worldwide for fleet companies, auction houses, rental agencies, dealerships, private owners and collectors. We have a number of professional, fully insured trade plate drivers to cater for time sensitive deliveries, personal collection and handovers of vehicles anywhere in Ireland or the UK. Our repatriation recovery service is available throughout Europe. We have recovered vehicles from: Spain, France, Germany, Italy, Austria, Sweden and Switzerland. 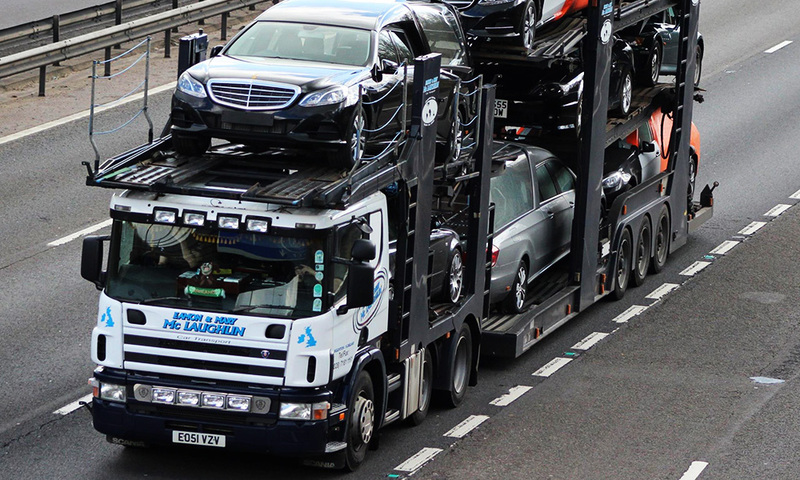 Our team of experienced drivers have specialised in vehicle transportation for many years, giving you peace of mind that your vehicle will be returned quickly and safely. We can deliver your vehicle to anywhere in the UK or Ireland. 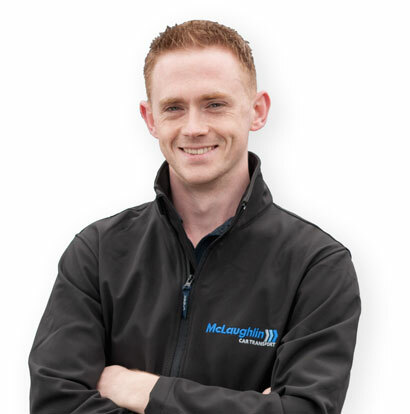 McLaughlins provide a comprehensive delivery service for dealerships and corporate fleet specialists, throughout Ireland, the United Kingdom and Europe. From collection through to delivery and the completion and return of leasing paperwork, we offer a complete solution for all aspects of the fleet and leasing collection and delivery process. We have the knowledge and expertise to transport your classic or vintage car, both safely and securely. We offer a bespoke service which is tailored to your specific requirements and schedule. Not sure of what’s involved? Call us now on 028 7181 1161 and we'll talk you though the process. Thanks very much for delivering the car. Straight to the front door in Bristol. Excellent service, very friendly and very professional. Thanks you very much saved me a lot of hassle. Highly recommend you guys to anyone. Hi, I have just received the Mazda mx5 which was delivered carefully by Ashley. Service from yourselves has been outstanding from start to finish. Just a quick email to thank you so much for delivering my car. Your service throughout has been fantastic and very efficient and I will definitely recommend you to anyone looking to bring a car over from the mainland! !